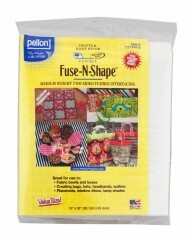 Fuse-N-Shape™ is fusible on both sides of the material. 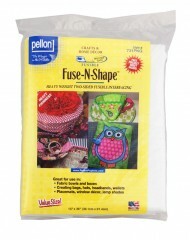 Do not place iron directly on Fuse-N-Shape™ material. Make sure to use a protective later between ironing board and Fuse-N-Shape™ such as a non-stick pressing cloth or parchment paper. 1. Cut a section of the Fuse-N-Shape so that it is slightly bigger than your framework design. 2. Cut two sections of the design fabric that are bigger than the section of the Fuse-N-Shape™ (one for both sides of the Fuse-N-Shape™). a. Place the first section of the fabric right side down on the ironing board. b. Center the Fuse-N-Shape™ on top of the bottom piece of design fabric. 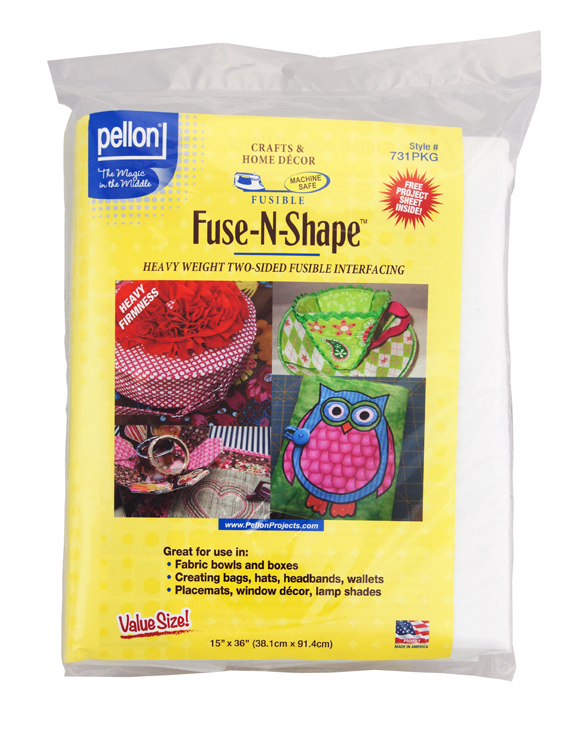 c. Place the remaining piece of design fabric right side up on top of the Fuse-N-Shape™. 4. 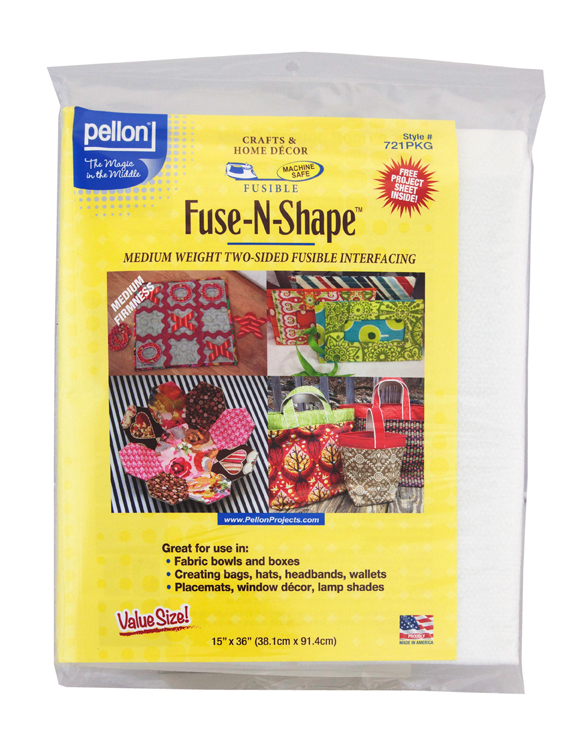 Fuse the fabric to Fuse-N-Shape™ using an iron set at the maximum dry level. Press the iron down firmly and using a crosswise motion, apply at least 5 seconds of continuous heat to all areas of thefabric. Allow material to cool off. 5. Flip over fused fabric and repeat on step 4. 6. Trace a design on one side of the fabric and then cut it out. 7. To permanently set design, press fabric with a hot iron on both sides and steam. 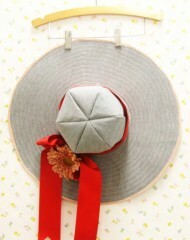 TIP: Paper can be fused to Fuse-N-Shape™ by means of pressing fabric between the iron and the paper to prevent burning. Do not use steam when fusing paper and Fuse-N-Shape™.